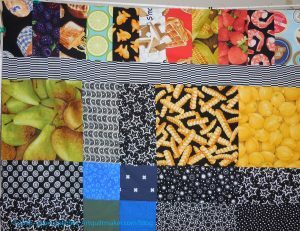 I have had very little time to work on the Food Quilt in the last weeks. I made some progress, as I reported mid month. I have made a little progress. The other week I spent time putting 3 sides of the border on. 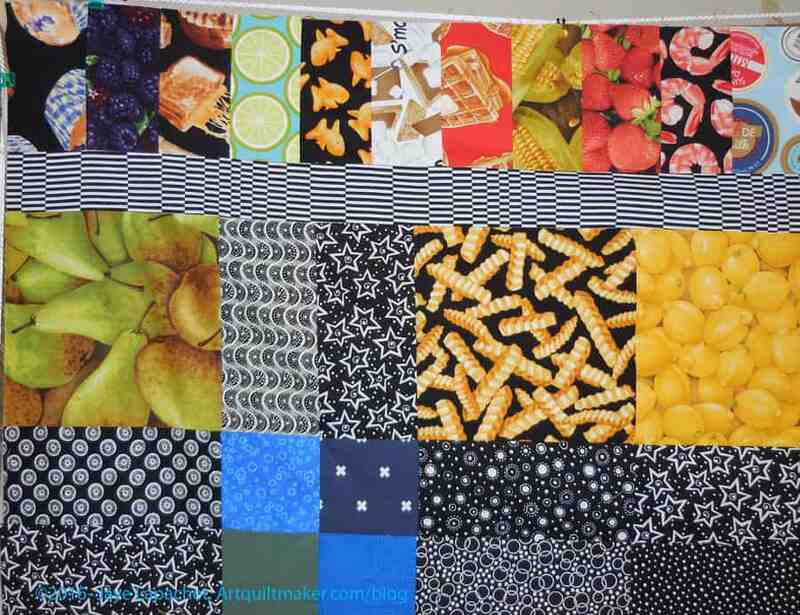 I sewed the piano key border together while work on the donation blocks. 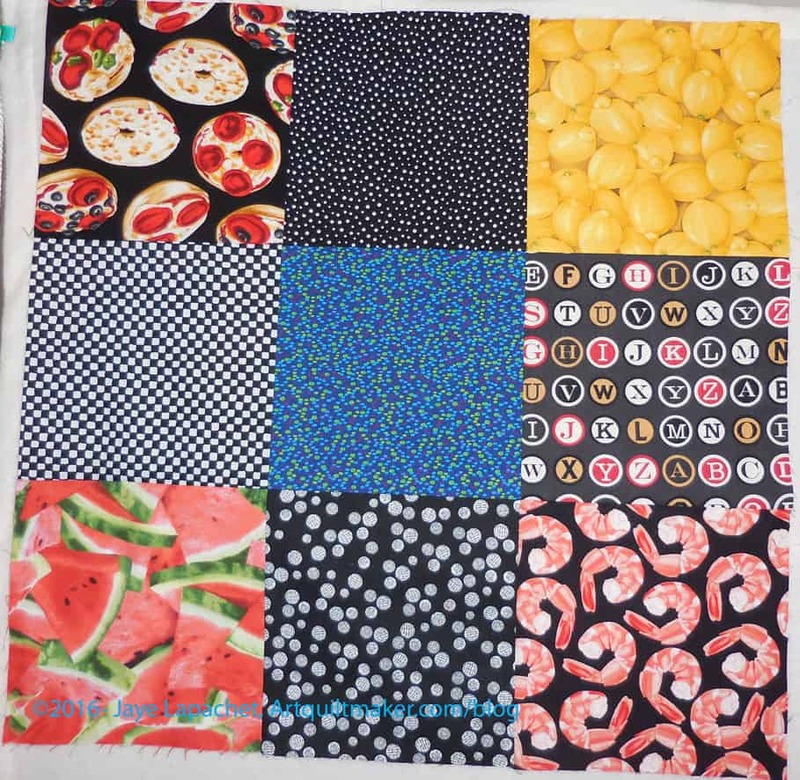 I was concerned that the black and white fabric I chose for the small internal border would interfere with the other blacks and whites, but I think it looks fine. Yes, that border touches the original blacks and whites, but since I didn’t use it in the original blocks, there isn’t much of a design problem. 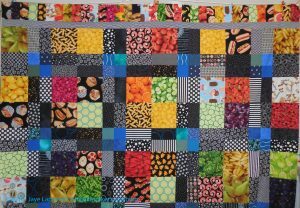 The border fabric makes my eyes cross a little bit and looks out of focus in the photos. 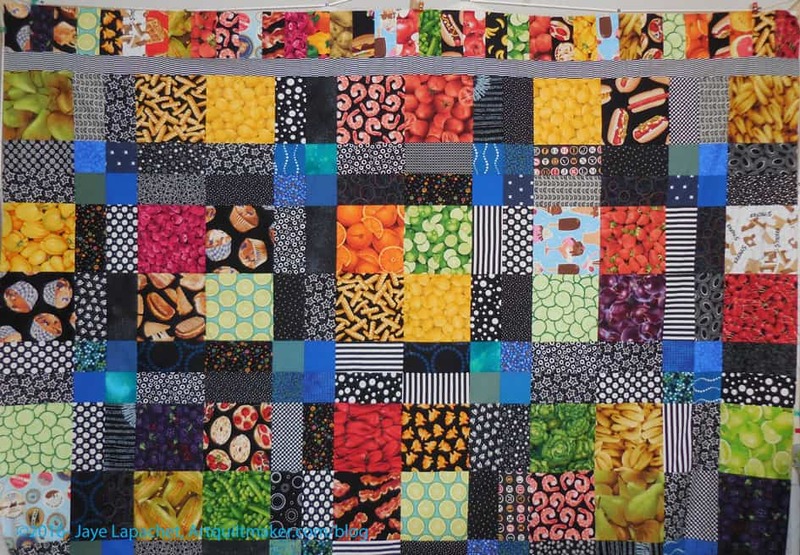 It has the distinct good quality of showing the seams where I sewed strips together to make them long enough to reach across the whole quilt. I didn’t have to sew the strips on the diagonal to hide the join.